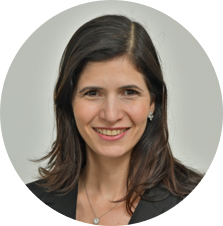 Dina Dvinov is Senior Operations Manager of the Cambridge Institute for Family Enterprise, a leading education and research institute dedicated to the significant issues family enterprises face. She is also Marketing Manager at its parent company, Cambridge Family Enterprise Group, a highly specialized, global organization founded in 1989, devoted to helping families achieve multigenerational success for their families, enterprises, and financial wealth. Since 2014, Ms. Dvinov has overseen the operations and logistics of the Cambridge Institute’s education, research, and publishing activities. She manages public and private education programs and conferences worldwide for family business audiences. In addition, she oversees the production of the Cambridge Institute’s publications, which range from articles to case studies to books. Ms. Dvinov also manages private, in-house research studies and white papers. As Marketing Manager, Ms. Dvinov runs all marketing campaigns and marketing initiatives for Cambridge Family Enterprise Group. This includes executing digital campaigns, social media and web strategies, print and video publishing, and the quarterly newsletter. She was integral to the launch of the curated list, the 17 Next Generation Family Enterprise Leaders to Watch in 2017. Earlier in her career, Ms. Dvinov worked for a technology conference company for eight years where she ran the logistics for conferences and trade shows throughout the United States. Ms. Dvinov earned her B.S. in Communications from Boston University. She is fluent in English and Russian.